Jesus was basically telling the crowd around him “Ok, you can follow me but just to let you know I am homeless. This means that we might have to be and sleep in some rough and uncomfortable spots.” This goes for us as well! He is telling us “Ok you can follow me but just to let you know YOU might be in some tough situations, some things you go through might be a little uncomfortable for you [you might lose friends, you might not be able to find a job right away, etc.] However, for each uncomfortable experience comes growth, self-development and spiritual victory. Are you patient enough and willing to lose what seems important to this earthly world only to gain your treasures in heaven? Seeing a smaller picture now but eventually fulfilling God’s bigger picture for your future? 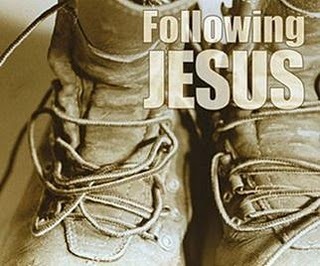 So today I won’t end this blog with an answer on what you should or should not do but I leave you with the thought of the day: How far are you willing to follow Jesus?